The order of verifiable age is as listed above. The order of popularity (in terms of number of practitioners) is Yang, Wu, Chen, Sun, and Wu/Hao. The first five major family styles share much underlying theory, but differ in their approaches to training.There are now dozens of new styles, hybrid styles and offshoots of the main styles, but the five family schools are the groups recognised by the international community as being the orthodox styles. 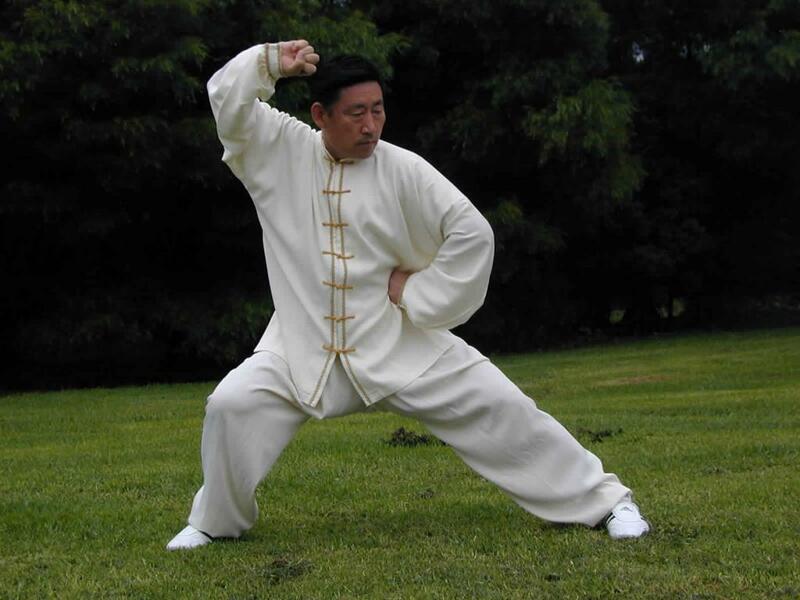 Other important styles are Zhaobao Tai Chi, a close cousin of Chen style, which has been newly recognised by Western practitioners as a distinct style, and the Fu style, created by Fu Chen Sung, which evolved from Chen, Sun and Yang styles, and also incorporates movements from Pa Kua Chang. The designation internal or nei jia martial arts is also used to broadly distinguish what are known as the external or wai jia styles based on the Shaolin quan styles, although that distinction is sometimes disputed by modern schools. In this broad sense, all styles of tai chi, as well as related arts such as Ba Gua Zhang and Xing Yi Quan, are therefore considered to be "soft" or "internal" martial arts. Many styles list in their history that tai chi was originally formulated by a Taoist monk called Zhang Sanfeng and taught by him in the Taoist monasteries at Wu Tang Shan. When tracing tai chi chuan's formative influences to Taoist and Buddhist monasteries, there seems little more to go on than legendary tales from a modern historical perspective, but tai chi chuan's practical connection to and dependence upon the theories of Sung dynasty Neo-Confucianism (a conscious synthesis of Taoist, Buddhist and Confucian traditions, especially the teachings of Mencius) is claimed by some traditional schools. The philosophical and political landscape of that time in Chinese history is fairly well documented. Tai chi's theories and practice are therefore believed by these schools to have been formulated by the Taoist monk Zhang Sanfeng in the 12th century, at about the same time that the principles of the Neo-Confucian school were making themselves felt in Chinese intellectual life. In these legends, Zhang Sanfeng as a young man studied Tao Yin breathing exercises from his Taoist teachers and martial arts at the Buddhist Shaolin monastery, eventually combining the martial forms and breathing exercises to formulate the soft or internal principles we associate with tai chi chuan and related martial arts. Zhang Sanfeng is also sometimes attributed with the creation of the original 13 Movements of Tai Chi Chuan. These 13 movements are in all forms of tai chi chuan. Its subsequent fame attributed to his teaching, Wu Tang monastery was known thereafter as an important martial center for many centuries, its many styles of internal kung fu preserved and refined at various Taoist temples.